I first met Jason at South By Southwest 2011, having admired his work from afar. Here’s a picture of me and Jason. When I was giving a talk on digital preservation at Beyond Tellerrand in 2013 referencing Jason’s work, I used that picture. 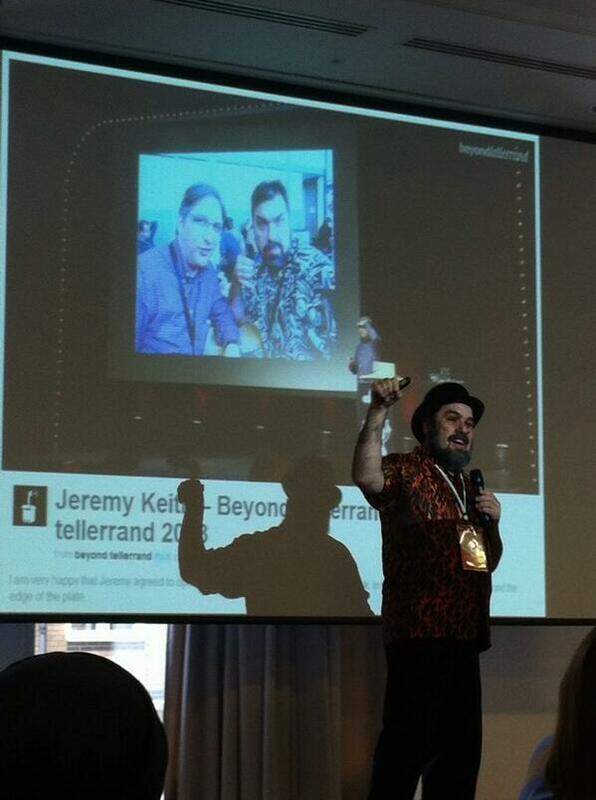 Then Jason gave a talk at a conference where he referenced me referencing him. 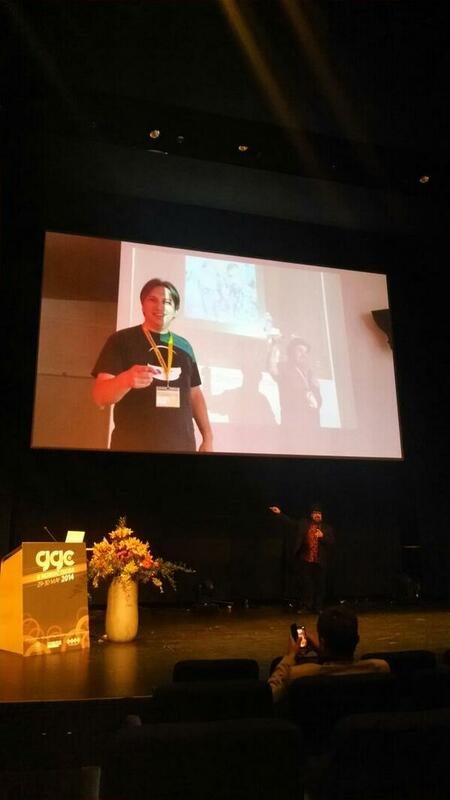 Here’s a picture of Jason presenting a picture of me presenting a picture of me and Jason. At this year’s Decentralize Camp, I spoke about digital preservation again. 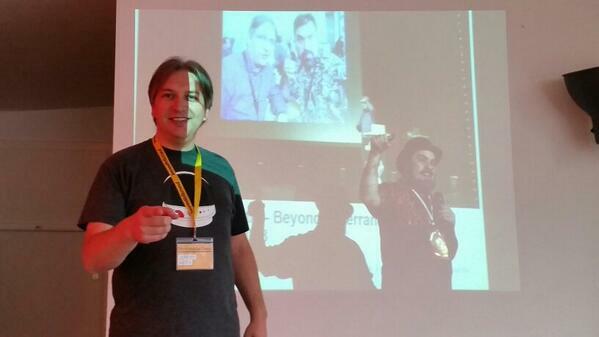 Here’s a picture of me presenting a picture of Jason presenting a picture of me presenting a picture of me and Jason. Then Jason gave another talk. Here’s a picture of Jason presenting a picture of me presenting a picture of Jason presenting a picture of me presenting a picture of me and Jason. I referenced that when I spoke in Riga a few months back. Here’s a picture of me presenting a picture of Jason presenting a picture of me presenting a picture of Jason presenting a picture of me presenting a picture of me and Jason. Finally, Jason gave a barnstorming talk at the final Brooklyn Beta yesterday. As we were both in the same room at the same time, Jason took the opportunity to draw a line under this back-and-forth with his final volley. Here’s a picture of me and Jason in front of a picture of me presenting a picture of Jason presenting a picture of me presenting a picture of Jason presenting a picture of me presenting a picture of me and Jason.